Subway has over 26,000 restaurants in the United States and over 44,000 locations in more than 100 countries, making it the largest fast-food company in the world based on the number of locations. 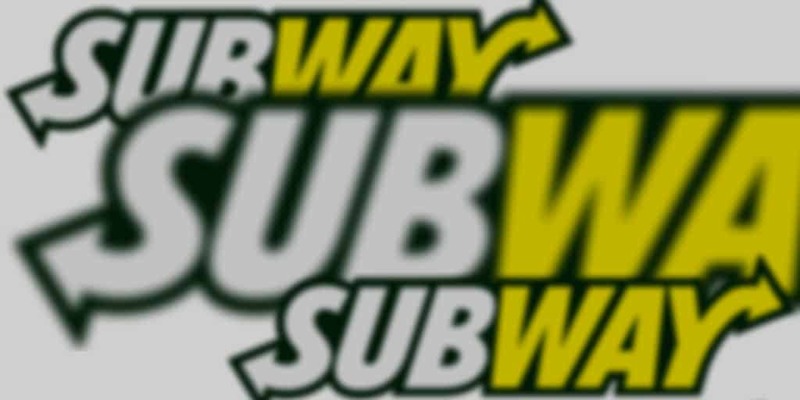 The Subway brand is well recognized domestically and internationally, which can make it a quality company for investors to buy stock in except for one thing. Subway is owned by a private company called Doctor’s Associates. So, you can’t actually buy stock in Subway itself, but you can invest in other large restaurant companies. Below we take a look at some alternative investment opportunities within the fast-food sector that may be a good fit for your portfolio. Most people are familiar with the famous golden arches that comprise the McDonald’s logo. The brand has 36,888 locations throughout the world, which makes it the largest burger chain on the planet. It was founded in 1955 in California and initially focused on providing a quality hamburger. Today, it offers hash browns, pancakes, and other foods, including the famous Big Mac and Quarter Pounder with cheese…. or a Royale with cheese depending on where you are in the world… cue Pulp Fiction clip! McDonald’s drink lineup includes coffee, soda, and smoothies. In 2017, McDonald’s announced its Velocity Growth Plan, which highlights the use of technology to offer better food and better service. The fast-food chain also plans to use its scale to create more sustainable company long term. Wendy’s has 5,739 locations in the United States. Although it has locations in 30 countries around the world, it primarily operates in North America. Despite its limited geographical positions, the brand is the third-largest hamburger chain in the world. The vast majority of Wendy’s locations were owned by franchisees as of January 2017. In Canada, Wendy’s partnered with Restaurant Brands International Inc. to operate a series of Tim Horton’s/Wendy’s locations. According to the Restaurant Brands Inc. website, roughly 80 percent of all cups of coffee poured in Canada are consumed at a Tim Horton’s.For bullish investors this could make Wendy’s an attractive investment. It also makes Restaurant Brands stock an even more compelling play, particularly for those who want some portfolio diversification. Restaurant Brands International owns a variety of fast-food chains in the United States and around the world. It is the owner of Tim Horton’s locations in Canada as well as Burger King locations in the United States and throughout the world. Over the next several months, RBI expects Burger King to lead its international growth efforts, which could make the combined entity attractive to investors. Altogether, the company has 23,000 locations among its portfolio of branded entities. It is also the owner of Popeye’s, which specializes in spicy chicken and other foods that are found largely in New Orleans. However, the company does also offer food options that are geared toward anyone looking for a quick and healthy meal at breakfast, lunch, and dinner. Depending on the particular restaurant, available items range from muffins and bagels in the morning to wraps, soups, and chicken tenders for lunch or dinner. The companies that are held under the Restaurant Brands umbrella have been in existence for over 150 years combined. And it’s that track record of success in all economic climates that makes it an attractive fast food investment alternative to buying subway stock. They also have a record of giving back to the communities that they serve. For example, the Tim Horton’s Children’s Foundation has provided resources to tens of thousands of youth who are in need throughout Canada. If you’re looking to buy Wendy’s stock or indeed invest in McDonald’s stock, tastyworks is a top tier broker that charges $0 commissions on closing stock and options trades. Domino’s Pizza is one of the largest pizza chains in the world with 14,434 locations globally. The total includes 5,491 restaurants in the United States. The company claims to sell about 1.5 million pizzas each day, and it also states its commitment to being a local company while also being a global brand. Like many other fast food companies, Domino’s operates a franchise business model. In foreign countries, franchisees are generally granted the rights to operate in a given area. Within those territorial rights, master franchisees will then grant rights for others to operate specific locations. Dunkin Brands Group is the owner of both Baskin-Robbins and Dunkin’ Donuts. Combined, the two companies have 11,336 locations in the United States and more than 20,000 locations throughout the world. Founded in 1950, Dunkin’ Donuts is one of the most recognized brands in donut and pastry sales. However, it is also known for its variety of hot and iced coffee products. Baskin-Robbins was founded in 1967 and is known for its array of ice cream flavors. Check out Dunkin’ Brands valuation estimate based on a discounted cash flow here. The chain also features frozen ice cream pizza and frozen beverages. Employees from all of the Dunkin Brands Group companies volunteer their time and money each year to various nonprofit organizations. It is part of the corporate social responsibility (CSR) program that can be a unique selling point for its brand as well as for investors looking for a reason to invest in it. >> Should You Invest In Stocks Or Options? Yum! Brands owns Kentucky Fried Chicken, Pizza Hut, and Taco Bell. Altogether, there are over 44,000 locations operated by companies under the Yum! Brands umbrella. Each day, this restaurant group opens seven or eight restaurants, according to its corporate page. This means that it is an actively growing company with the potential to increase earnings and to provide maximum value for shareholders. Pizza Hut is the largest takeout pizza chain in the world, and KFC and Taco Bell are major players in the chicken and Mexican food niches. Yum! Brands has been recognized as a quality corporate citizen and is part of the Bloomberg Gender-Equality Index. Yum! Brands was part of PepsiCo until it was spun off from that company in 1997. A dividend is a cash payment to shareholders that is usually made on a quarterly basis. Shareholders can choose to either put the money in their bank accounts or use the funds to buy more shares in the company that just paid them out. To determine a dividend yield, you take the share price and divide it by the amount of the dividend itself. The yield is what you use to determine your return on investment on a yearly basis, excluding share price fluctuations. Generally speaking, a yield of 2 percent to 3 percent is normal among mature companies with stable finances. As of December 2018, McDonald’s pays a dividend of $4.04 per share per year, which translates to a dividend yield of 2.5%. The company makes dividend payments on a quarterly basis, and the amount paid to shareholders has increased since the shares were first offered in 1976. As of December 2018, Wendy’s pays a dividend of 34 cents per share per year, and dividend payments have gone up every 12 to 18 months since 2012. The current dividend per share results in a yield of 1.9%. As of December 2018, Restaurant Brands International pays a dividend of $1.80 per share on an annualized basis. This translates to 45 cents a share paid quarterly, which means that investors currently see a 3.15% dividend yield. The company has raised its dividend regularly since 2016. Domino’s Pizza offers an annualized dividend payout of $2.20 per year, which provides a yield of 0.8%. Shareholders receive a dividend payment four times per year, and the dividend amount has grown consistently since 2014. Dunkin Brands Group has a dividend equal to $1.39 on an annualized basis. Dividends are paid quarterly, and the amount of the dividend paid to investors has gone up each year since 2013. Currently, the dividend yield is 1.86%. At last glance, Yum! Brands offered a dividend of $1.44 cents per share annually. Payments are made to shareholders quarterly, and there was no dividend increase in 2018. The dividend yield is currently at 1.56%. Trailing price-to-earnings (P/E) numbers are calculated by dividing a company’s stock price by its earnings per share (EPS) over the prior 12 months. This figure can be of use to investors who need a way to determine the overall health of a company without looking only at its recent stock performance. Of the companies that investors may consider as Subway alternates, Wendy’s has the lowest trailing P/E at 7.38 as of December 2018. Dunkin Brands Group had the second-lowest number on the list with a trailing P/E of 16.66. Yum! Brands was third on the list with a trailing P/E figure of 18.78. A company’s forward price-to-earnings (P/E) ratio takes into account that the ratio is based on predicted future performance. Generally speaking, projected earnings for the next four quarters or 12 months are deemed to be the most relevant. This figure is generally more useful for investors who are looking for stocks with more potential for growth. Of the fast-food companies that may be worth investing in, McDonald’s has the lowest forward P/E ratio with 22.52 as of December 2018. Yum! Brands has the second-lowest forward P/E ratio at 24.2, and Dunkin Brands has the third-lowest at 25.01. While you can’t buy Subway stock, there are other enticing options if you want exposure to the fast-food sector. If you are specifically focused on emerging markets, it may be best to put your money in either McDonald’s stock or Domino’s Pizza stock based on the current investment data. These two companies already have brand recognition around the world, and a number of international markets have yet to be saturated. These stocks may be able to grow both in the short term and the long term. Of course, you should always review your investment goals and criteria before deciding whether a particular stock or sector is worth putting your money into. No matter how you allocate your money, it is smart to choose a broker that offers competitive commissions, fast order execution, and top notch trading platforms. thinkorswim and tastyworks check all those boxes.